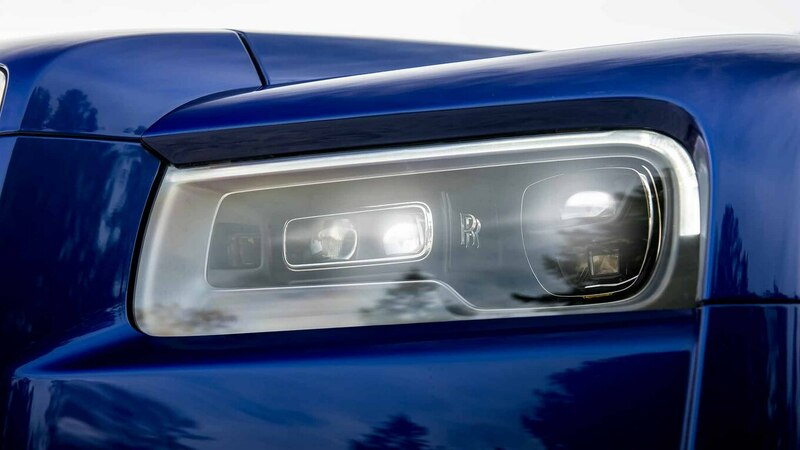 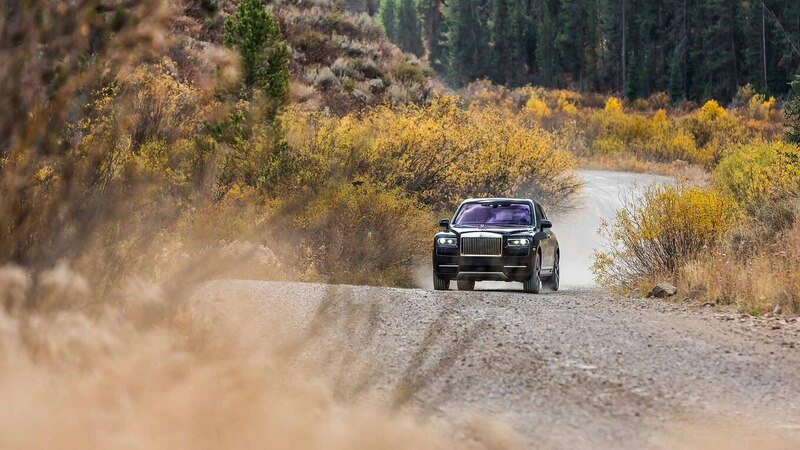 Home » 2019 Rolls-Royce Cullinan First Drive: A True Rolls or Brand Dilution? 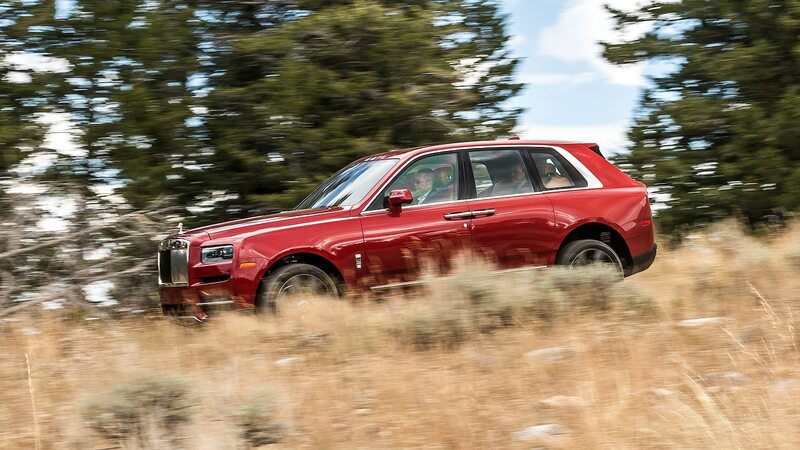 2019 Rolls-Royce Cullinan First Drive: A True Rolls or Brand Dilution? 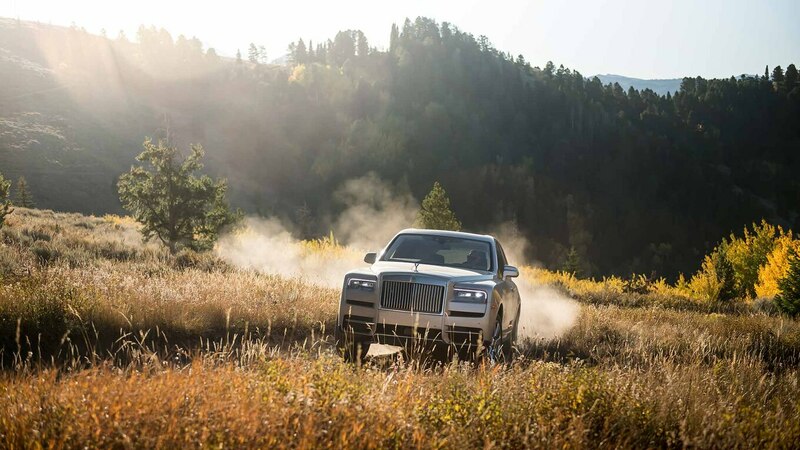 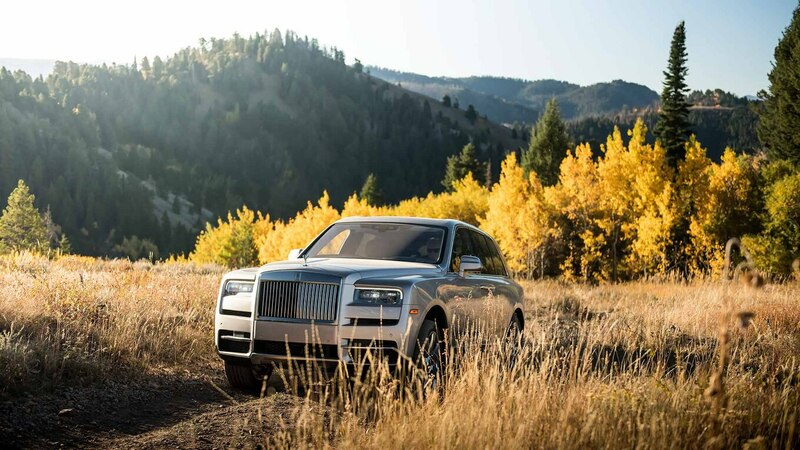 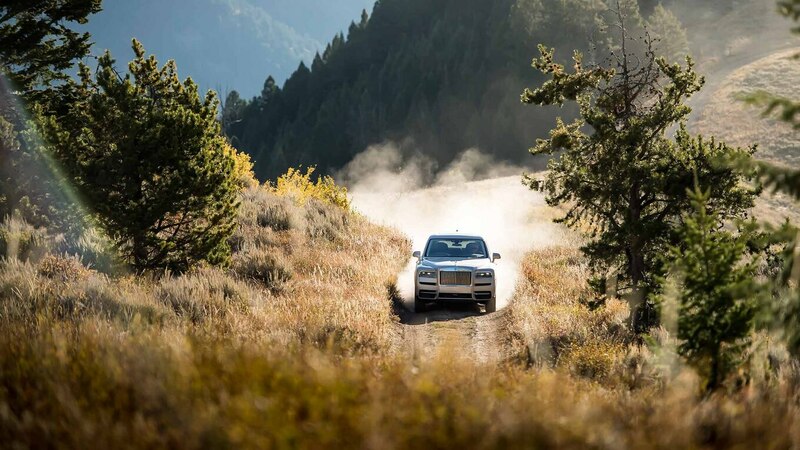 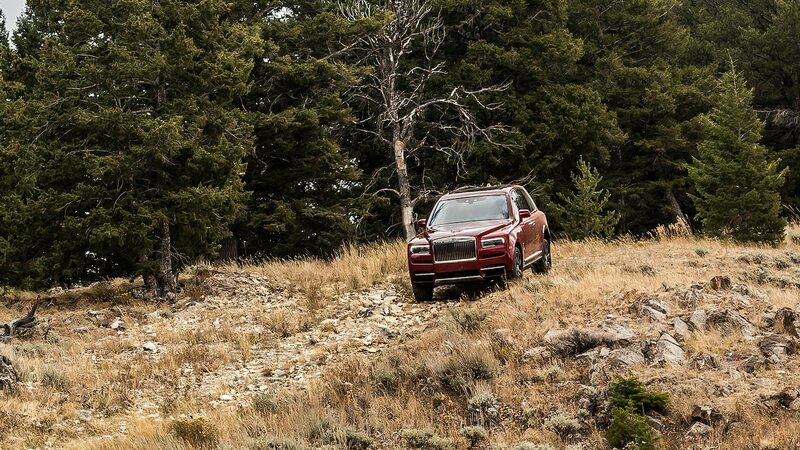 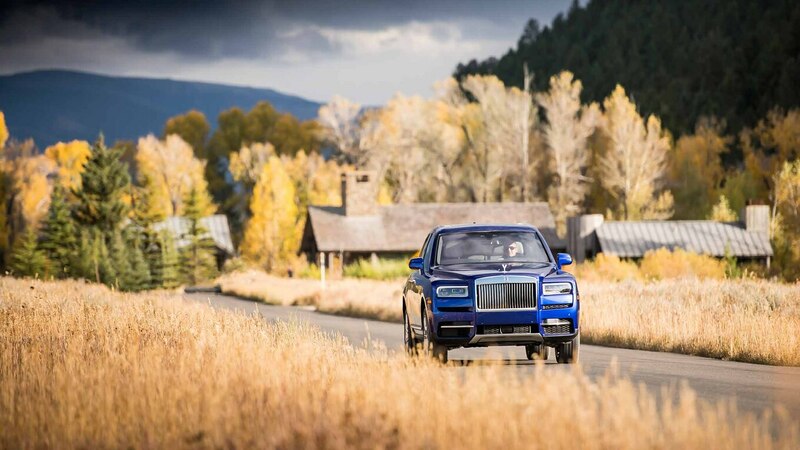 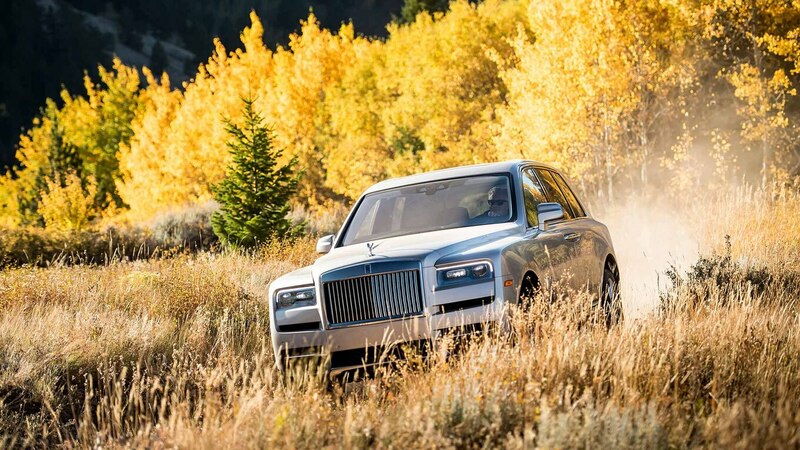 Off-roading isn’t usually so quiet, yet as I traverse a rocky trail in Wyoming, the 2019 Rolls-Royce Cullinan’s hushed cabin makes an impression. 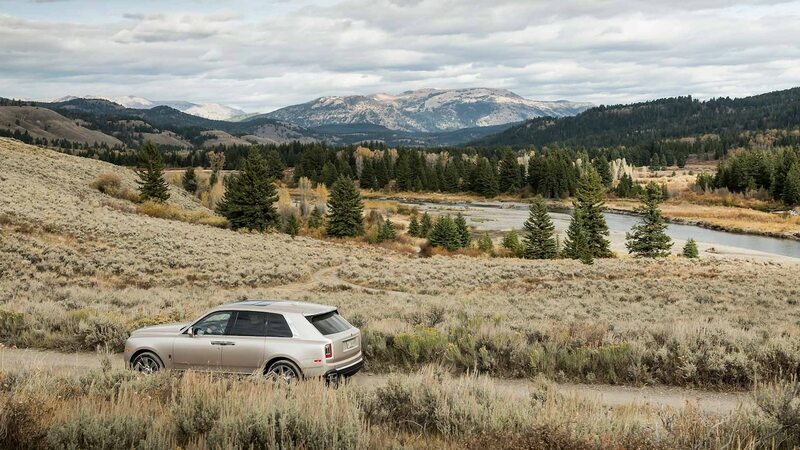 While the SUV gives me a massage, I sneak a peek out the windows to admire the Grand Tetons before regaining my focus, doing my part to maneuver an SUV half a foot longer than a standard Escalade off-road. 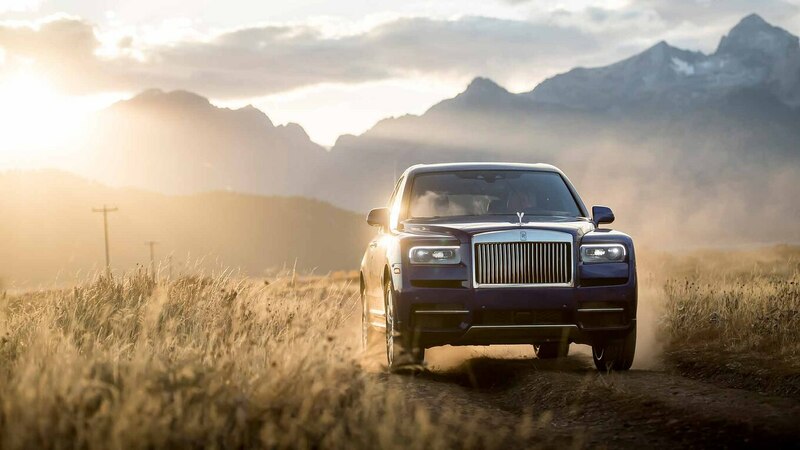 Rolls-Royce’s first-ever all-wheel-drive vehicle is a 210.3-inch SUV that doesn’t make sense at first, but the more you drive it, the more it feels true to the brand. 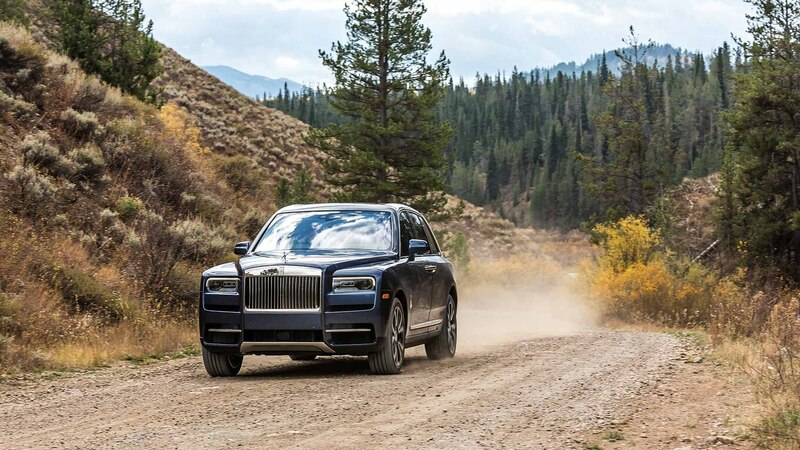 An enormous 12-cylinder SUV with a $330,350 USD starting price (including destination and gas guzzler fees) is overkill for off-roading, but the Cullinan’s basic trail-ready credentials help justify its place in Rolls-Royce’s lineup. 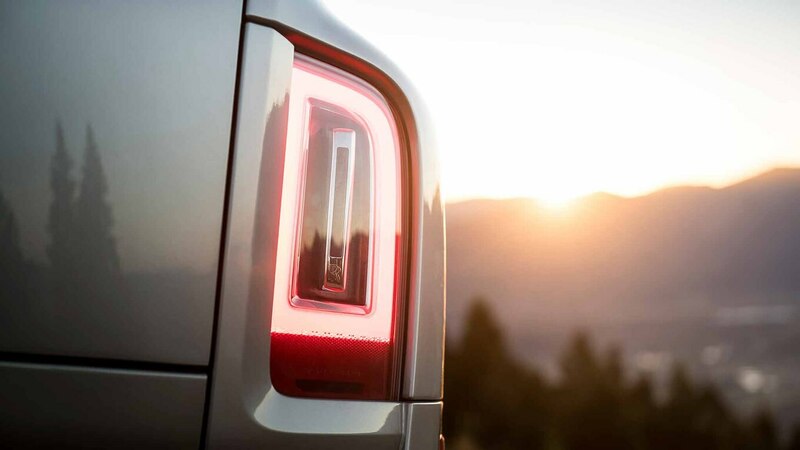 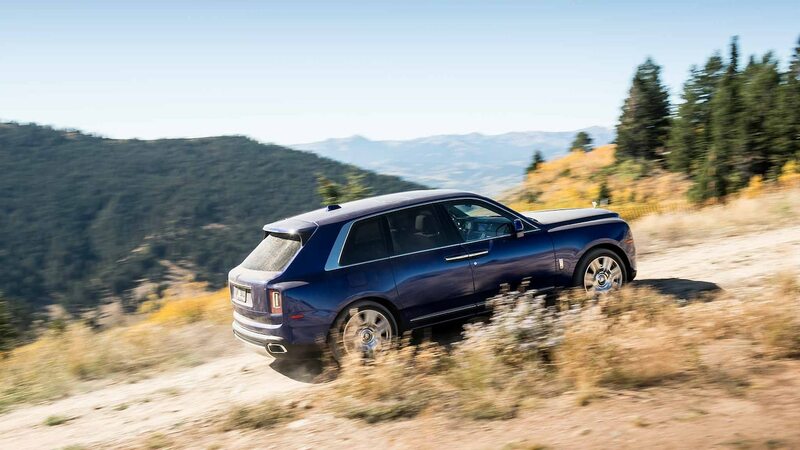 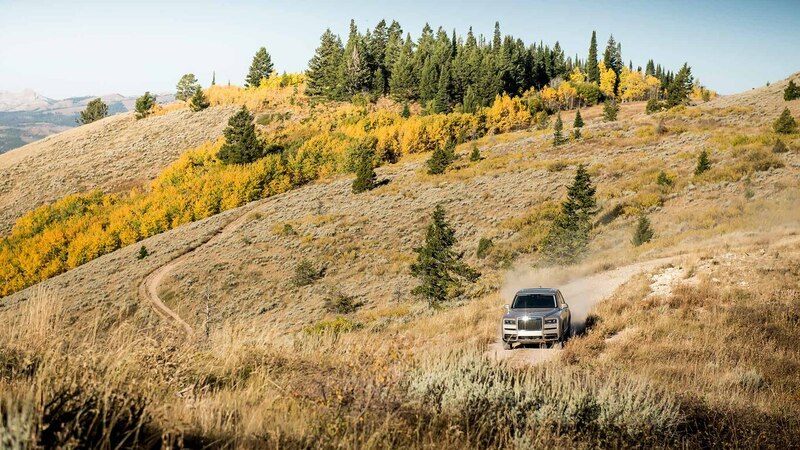 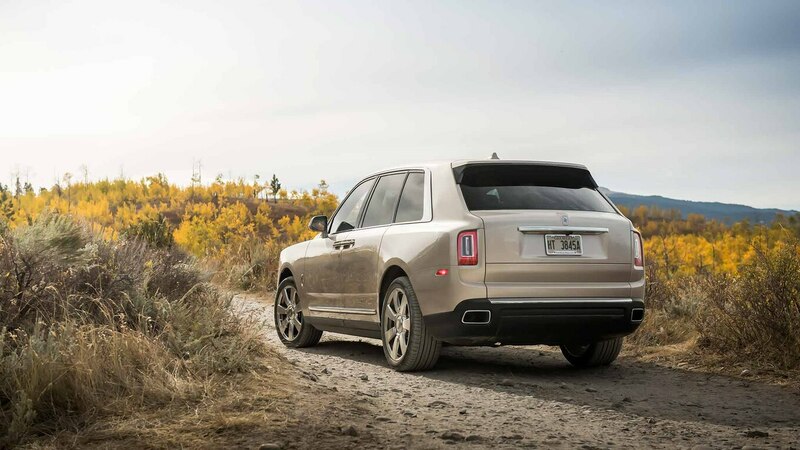 Most American buyers won’t take their super-luxury SUVs off-road, but should such a situation present itself, simply press an off-road button to optimize the Cullinan’s performance for the trail that leads to your luxurious hillside hideaway. 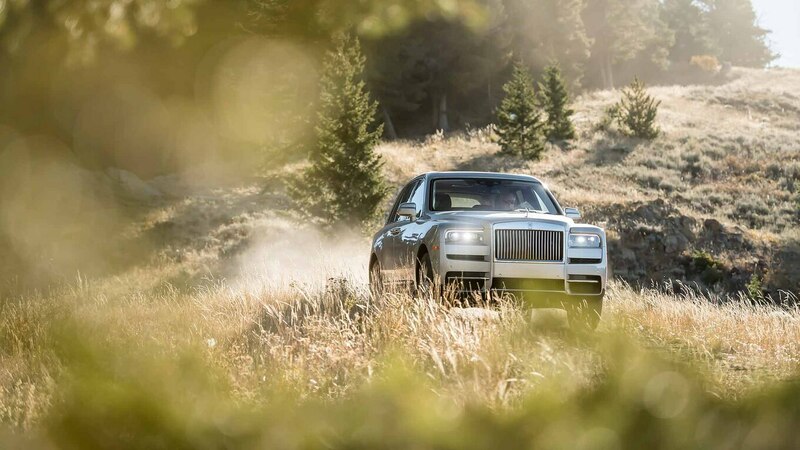 The Cullinan is a Rolls-Royce first and an SUV second, however, which means the new model’s styling, interior richness, and on-road behavior are arguably more important than its off-road abilities. 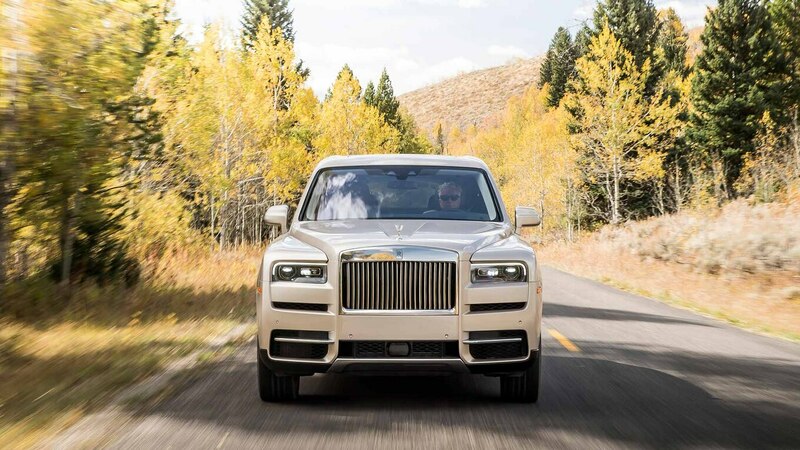 First impressions are strong; the blocky, imposing presence of the Ghost and Phantom sedans extend naturally to an SUV body style. 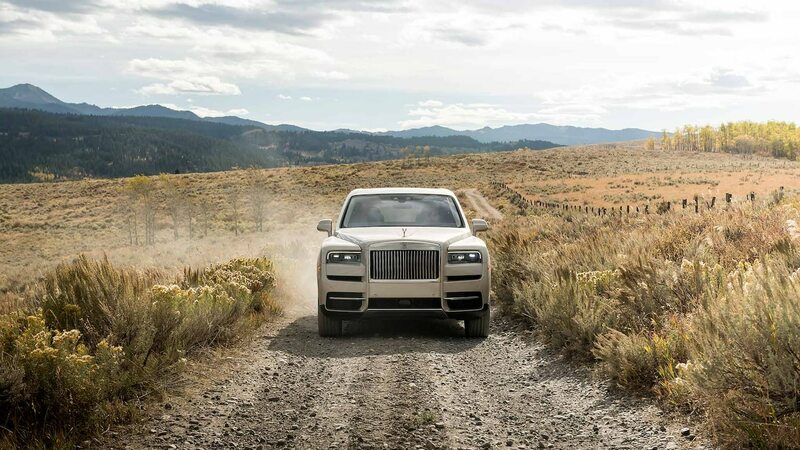 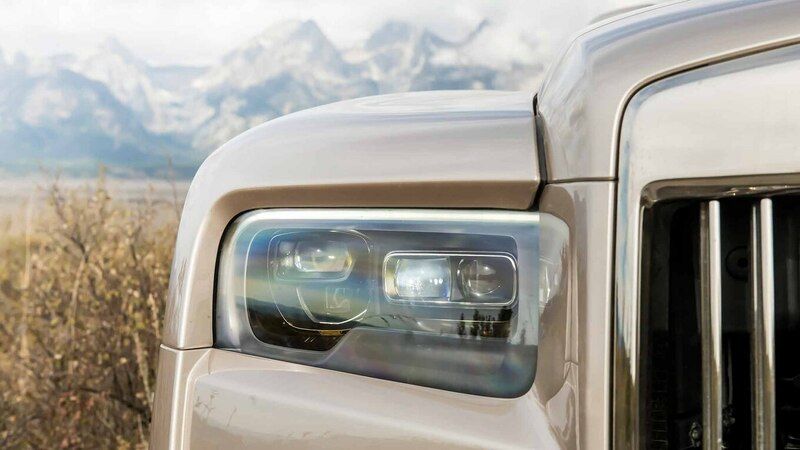 Cullinan drivers enjoy a commanding view of the road ahead, highlighted by the Spirit of Ecstasy at the edge of the hood. 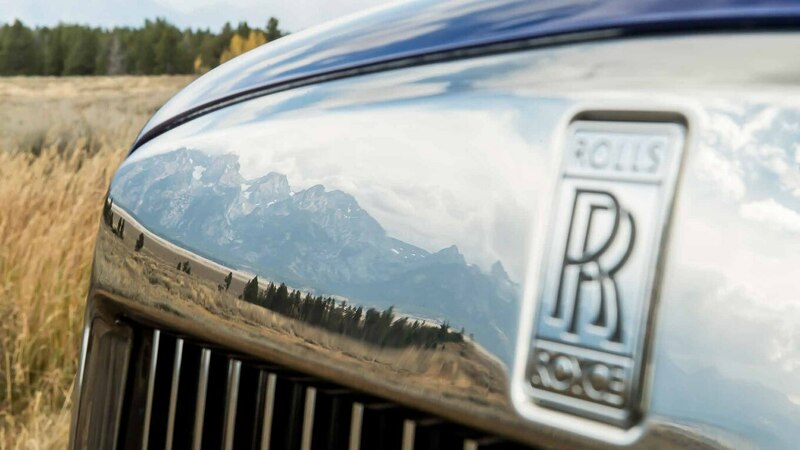 Rolls-Royce remains one of the very few luxury automakers that can pull off a hood ornament that will command respect and not ridicule. 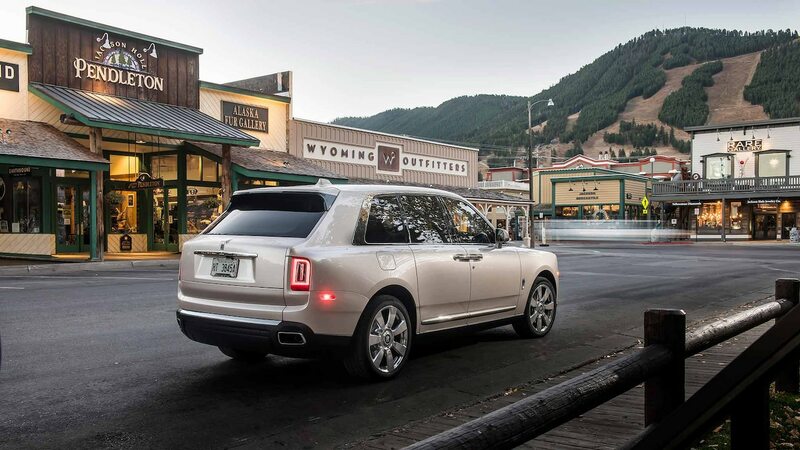 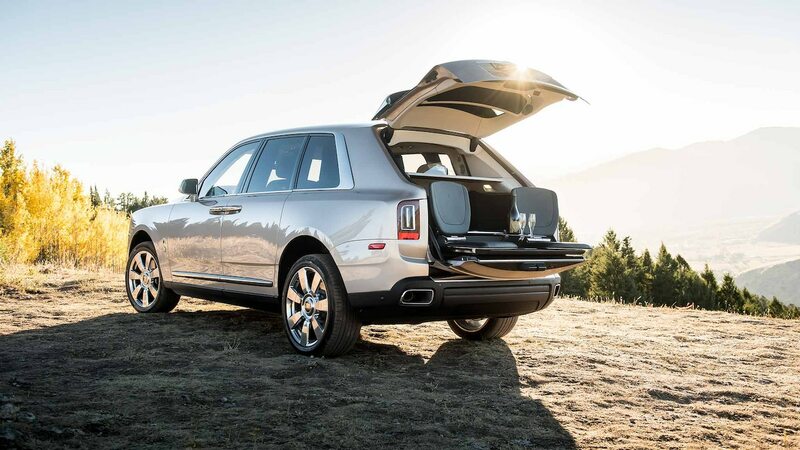 The deal-maker/breaker of a design feature is the way the rear windshield meets the pushed-back liftgate lid, which is said to pay homage to early 20th century Rolls-Royces that still held luggage in an actual trunk behind the passenger compartment. 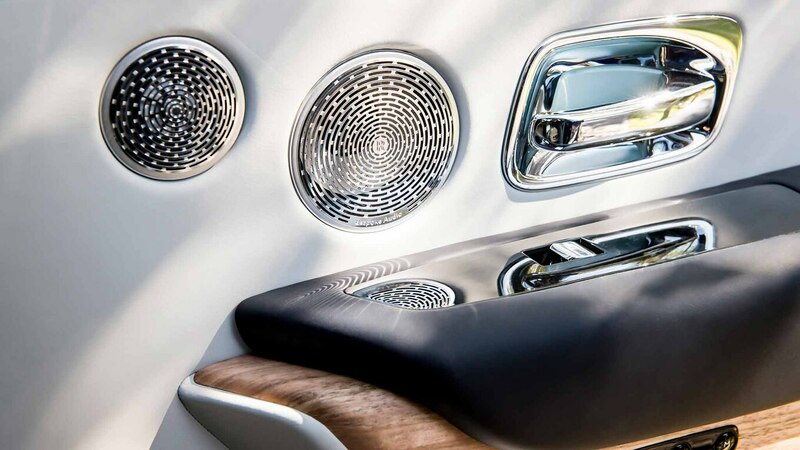 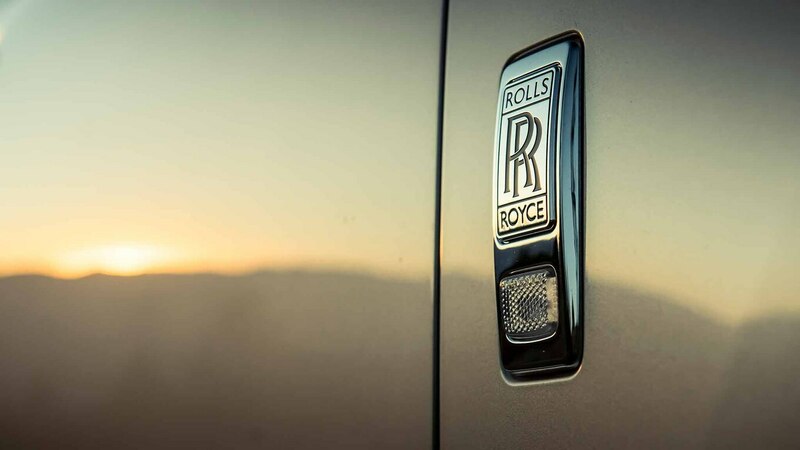 From the side, Rolls-Royce’s distinctive front-mounted rear door handles catch your eye, as does the thick stainless steel trim that extends in one piece from the base of the D-pillar over the top of the doors to the A-pillar. 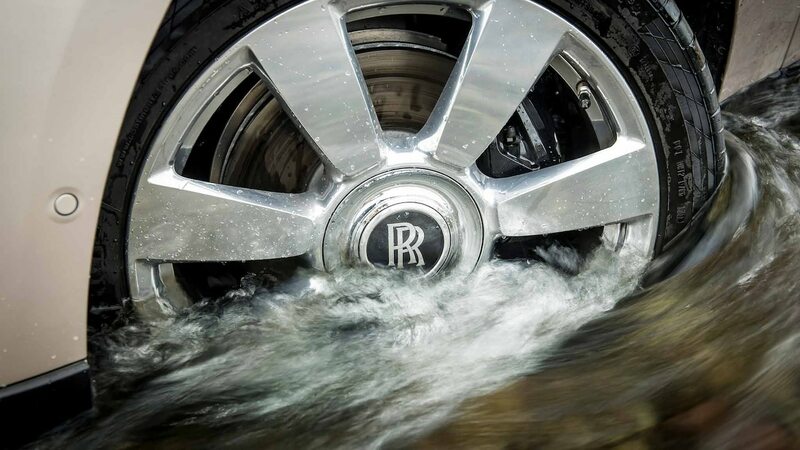 In the U.S., 22-inch wheels will be standard with 21s and winter tires offered, as well. 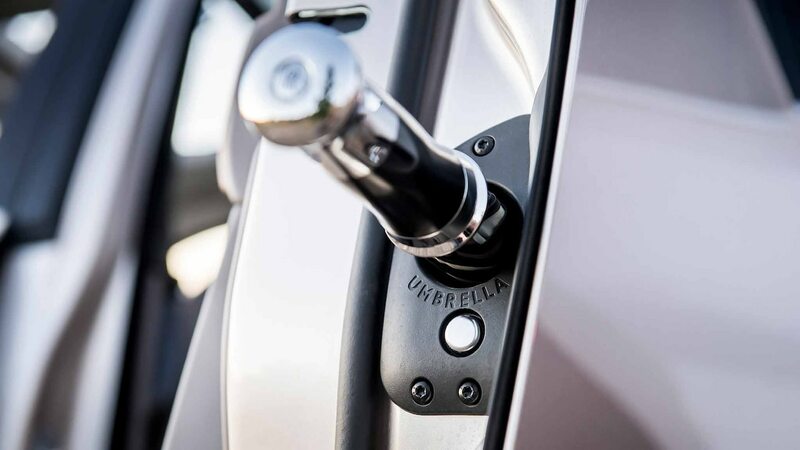 Unless you need winter tires, stick with one of the 22-inch options to maximize curb appeal every time you approach the valet. 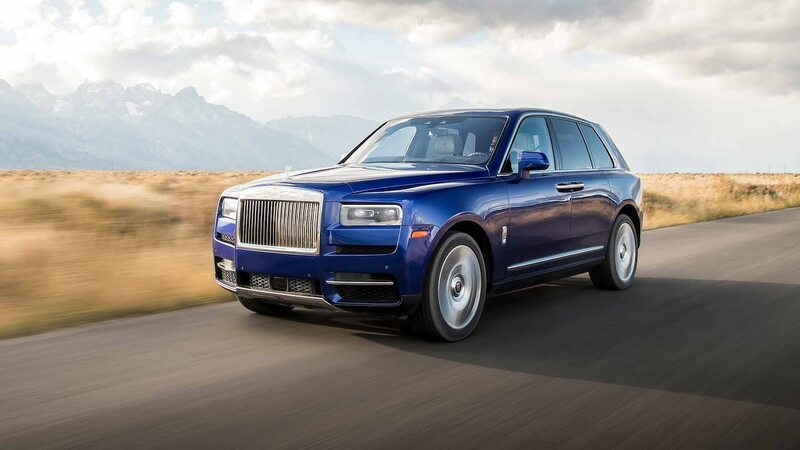 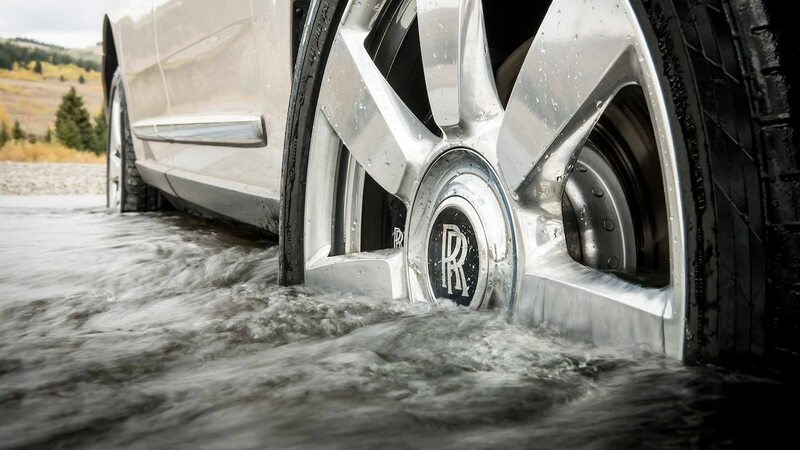 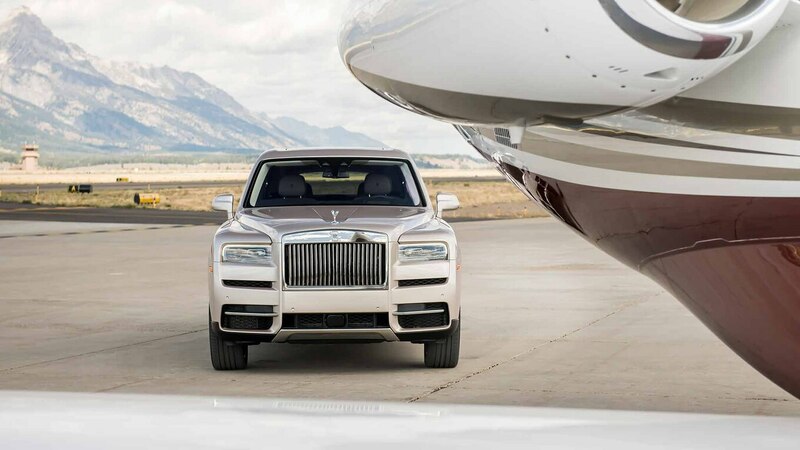 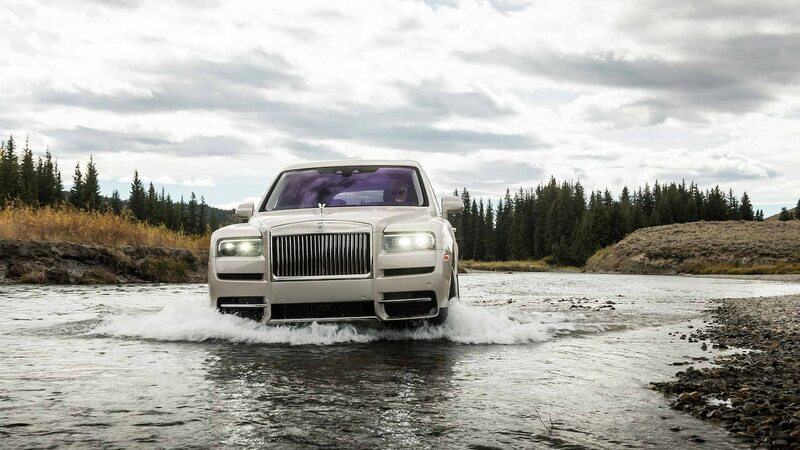 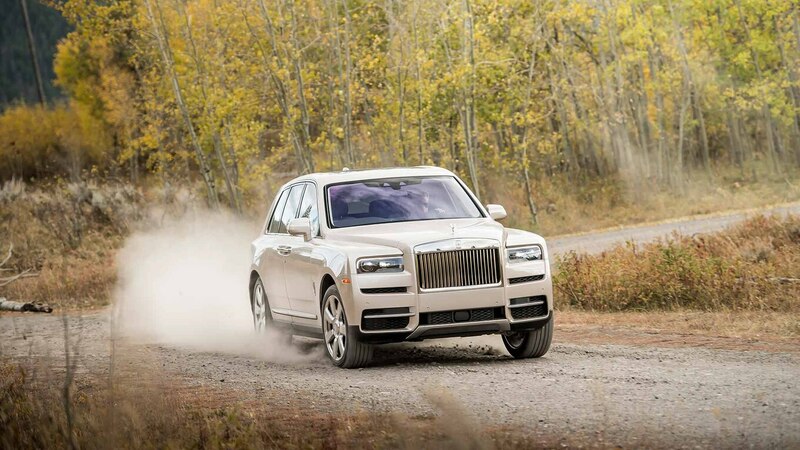 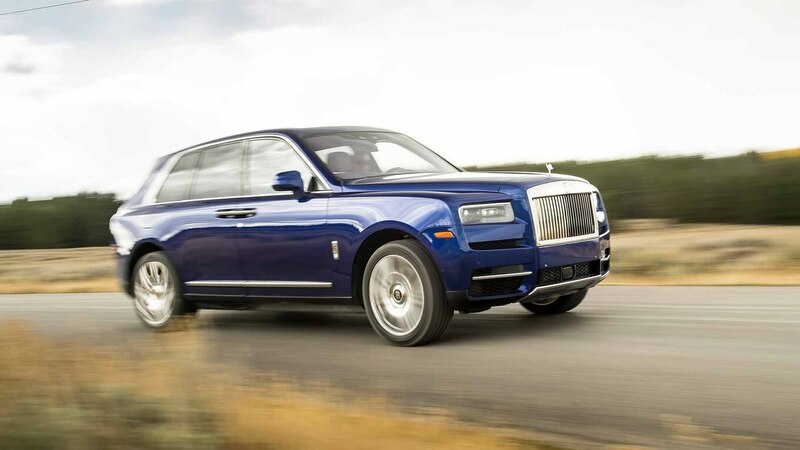 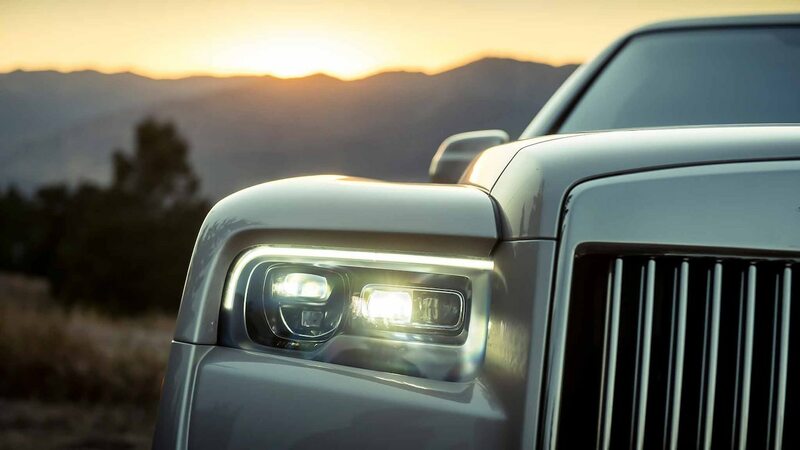 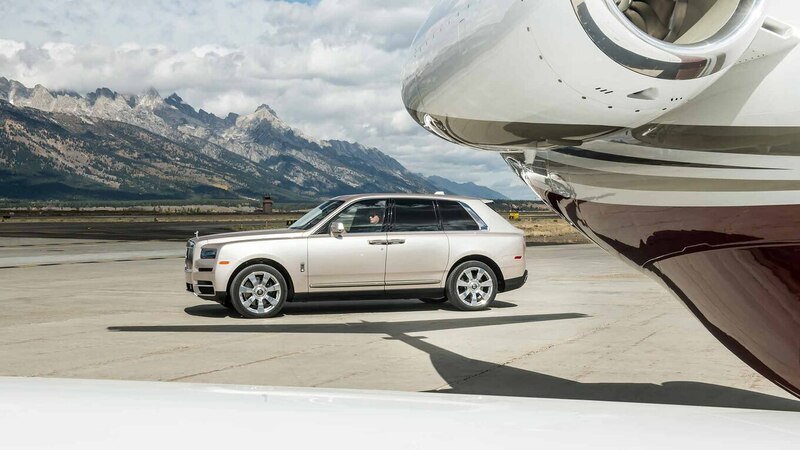 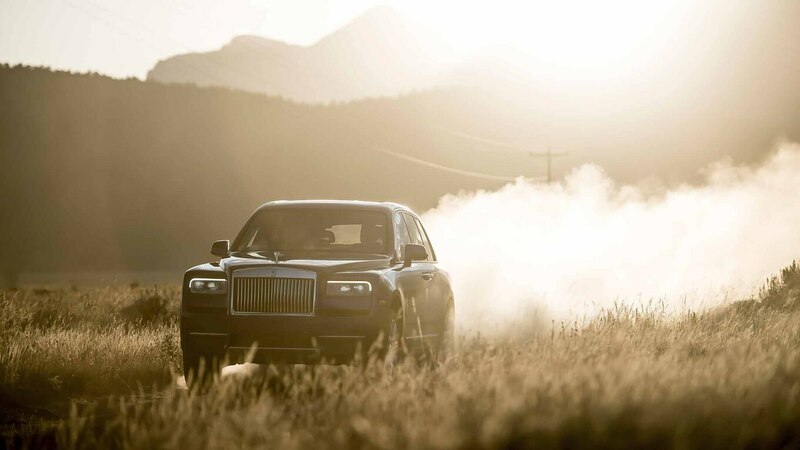 Even with the larger wheels, the Cullinan retains the smooth ride you expect of a Rolls-Royce thanks in part to an updated self-leveling air suspension and special tires designed to keep road noise to a minimum. 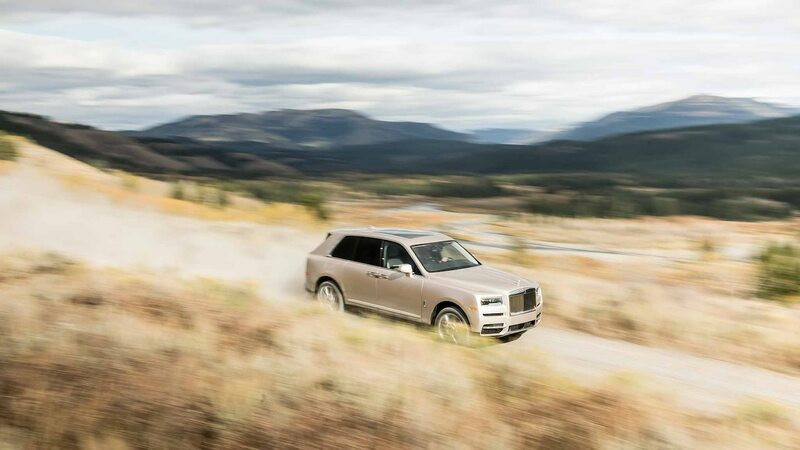 The SUV’s eight-speed automatic, 563-hp V-12 with 627 lb-ft of torque, and brakes are all tuned for smoothness; those 12 cylinders will move the three-ton Cullinan with authority at wide-open throttle, but the engine never yells. 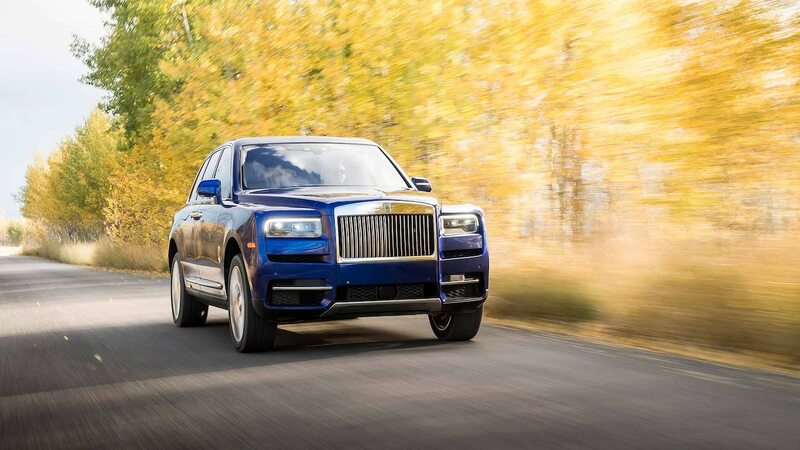 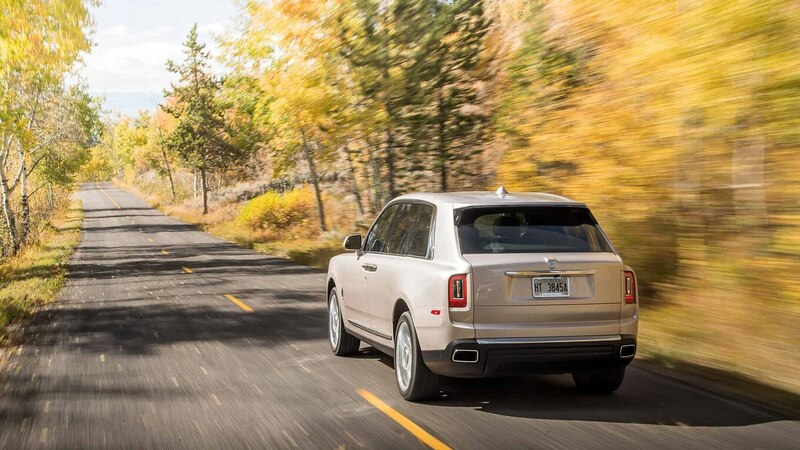 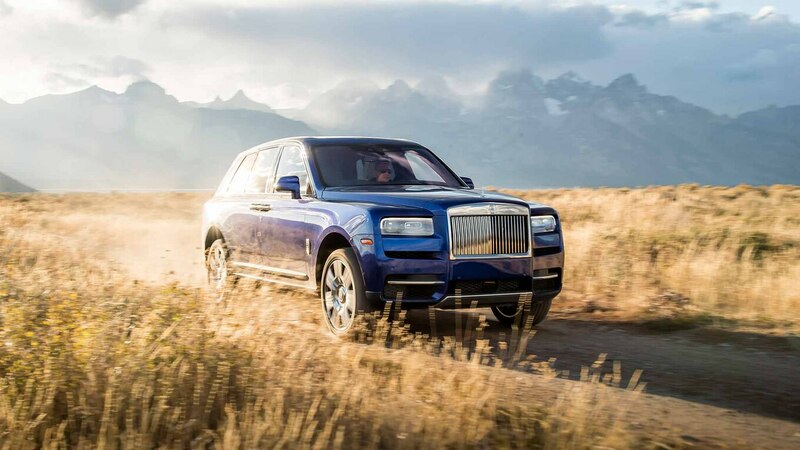 Even with a four-wheel steering system, the Cullinan carries itself with a heaviness that communicates its preference for a more comfortable pace. 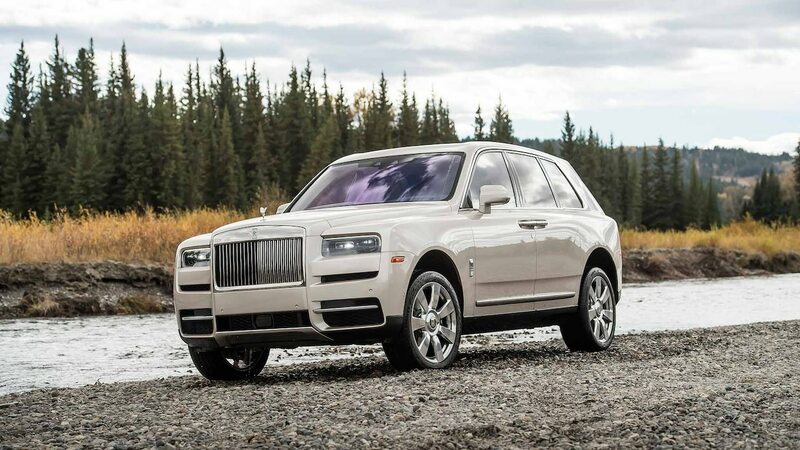 Want a sporty six-figure super-luxury SUV? 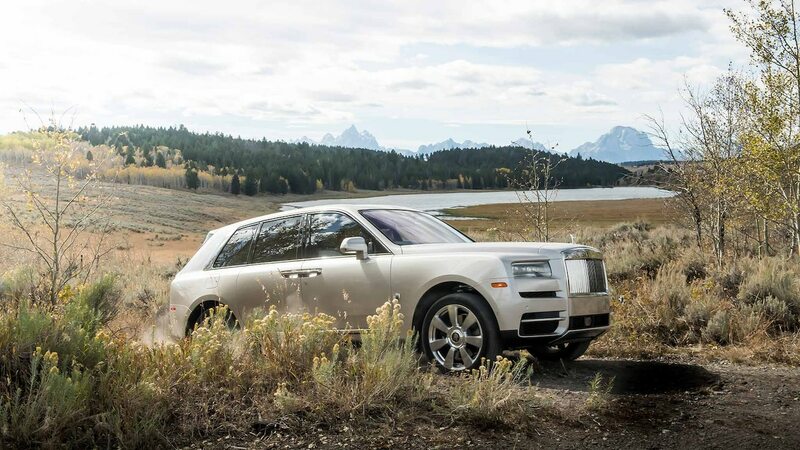 Get a Bentley Bentayga. 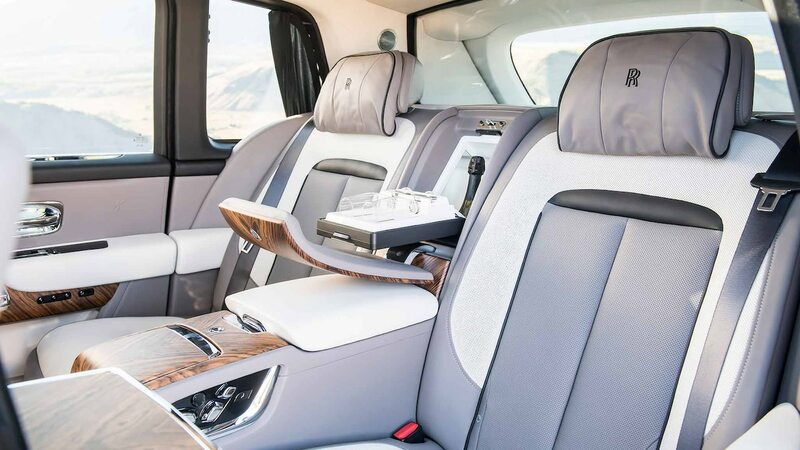 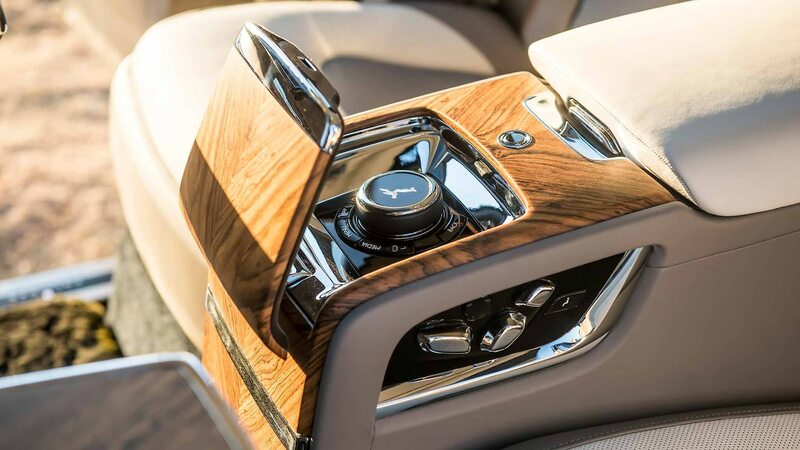 But if your goal is total comfort in a spacious interior, the far more expensive Cullinan may be a better fit. 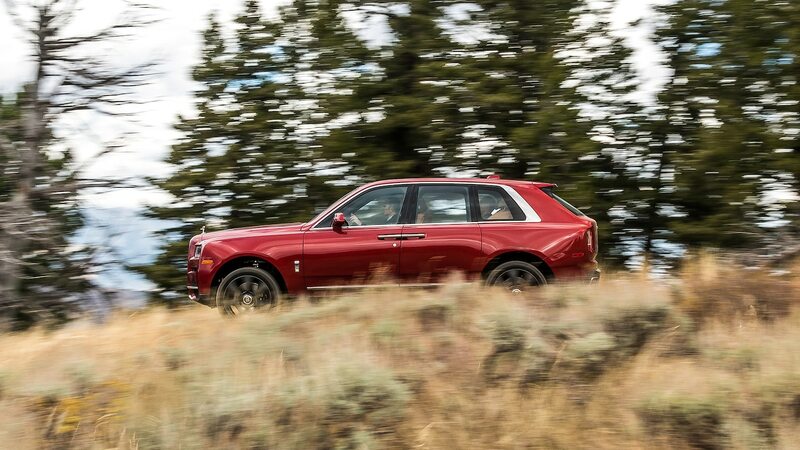 Rolls-Royce expects most Cullinan owners to actually drive their own SUVs—something you wouldn’t find as much in the Phantom flagship sedan. 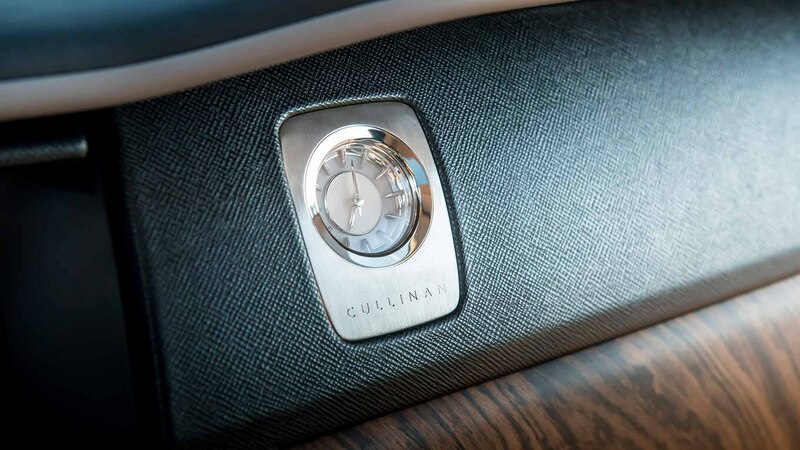 Even Rolls-Royce levels of brand recognition can’t make up for the Cullinan’s lack of Apple CarPlay, a feature that—no matter your income tax bracket—facilitates audio, navigation, and text messaging functions. 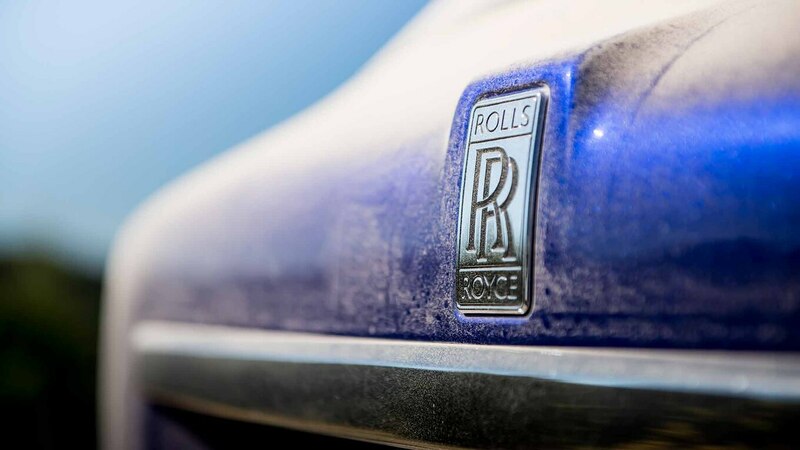 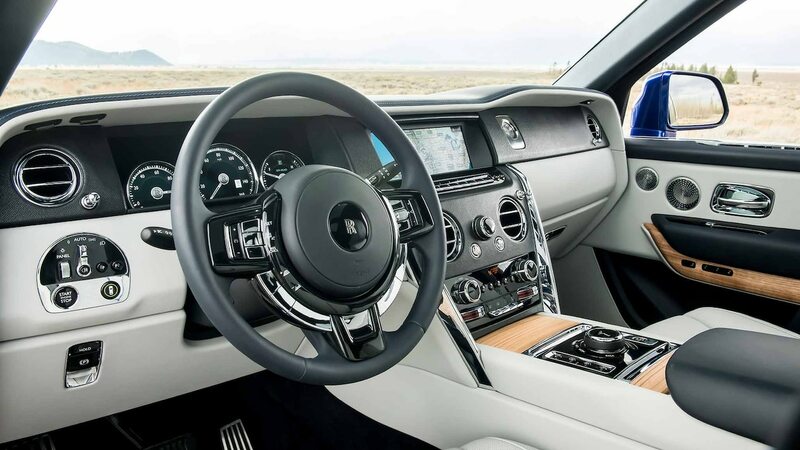 Rolls-Royce says it wants to introduce the feature only after Apple and the automaker can make it work from the rear-seat touchscreens in addition to from the front. 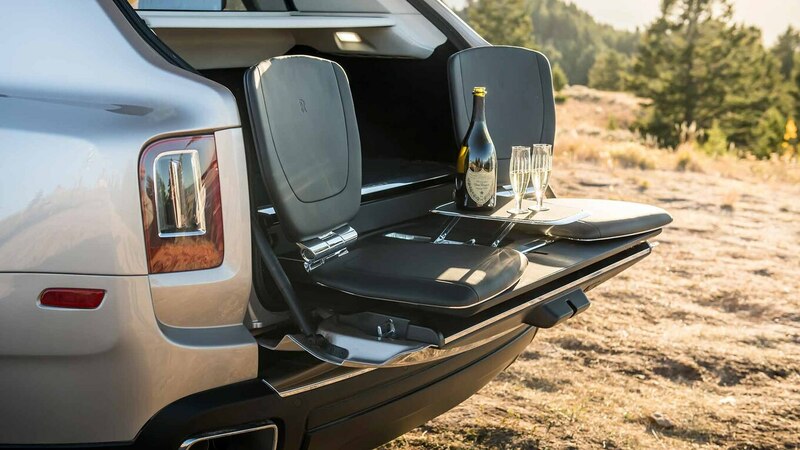 Although future Cullinans could add that feature, current rear-seat passengers may be too impressed by the view from the large side windows and all the room to stretch out to notice. 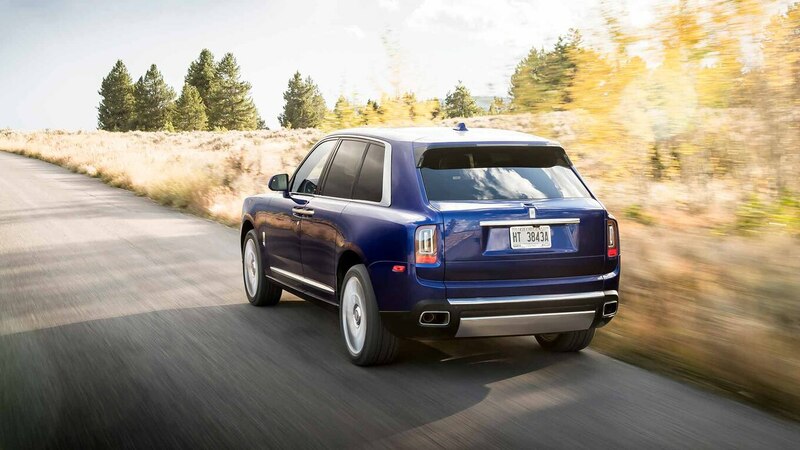 Also impressive: The Cullinan makes the laborious task of closing doors a thing of the past. 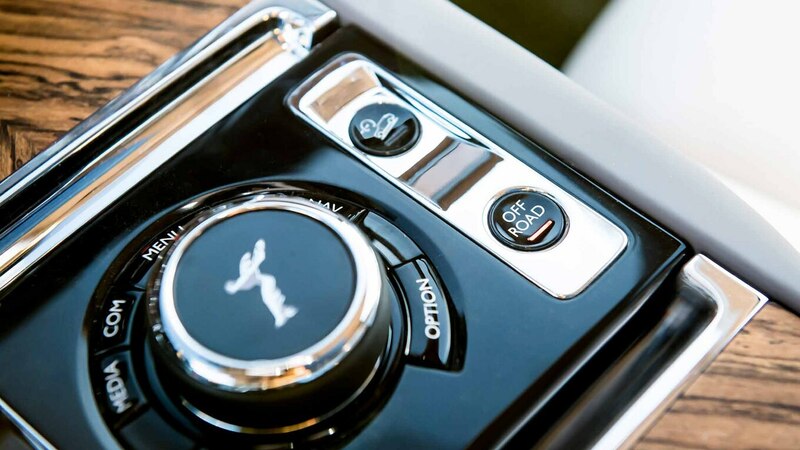 Once inside, front and rear passengers need only press and hold a switch and watch as the door pulls itself shut. 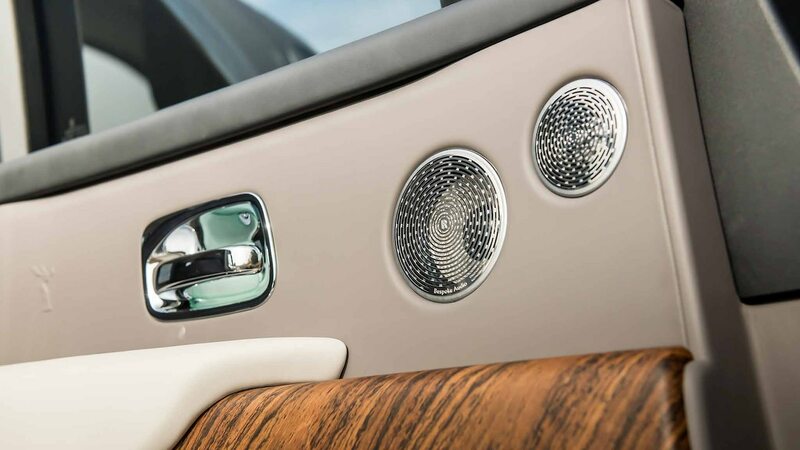 Upon exiting the car, press a button on the door and the door shuts itself. 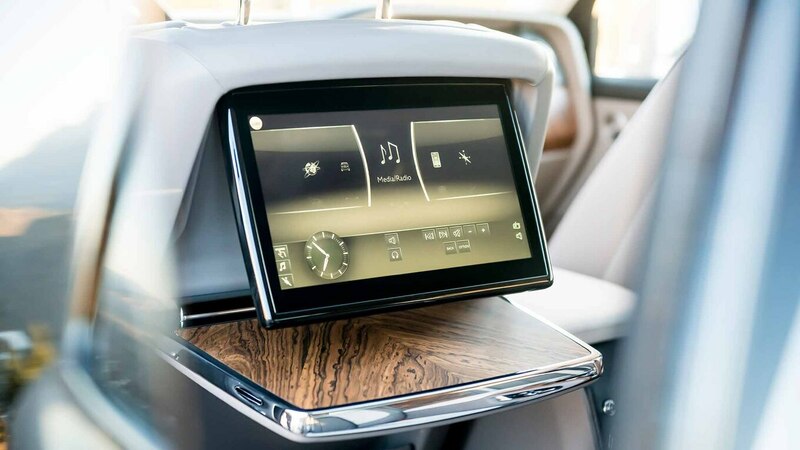 Although having to hold the door-close button from inside isn’t as convenient as pressing a button once, this virtual chauffeur service is still cool. 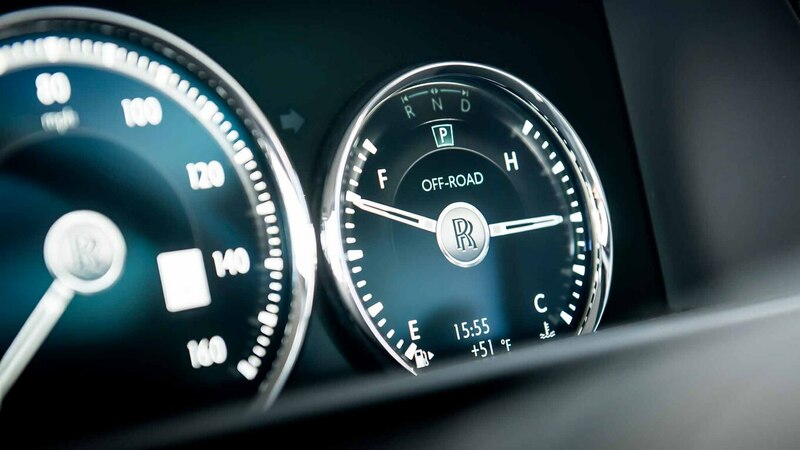 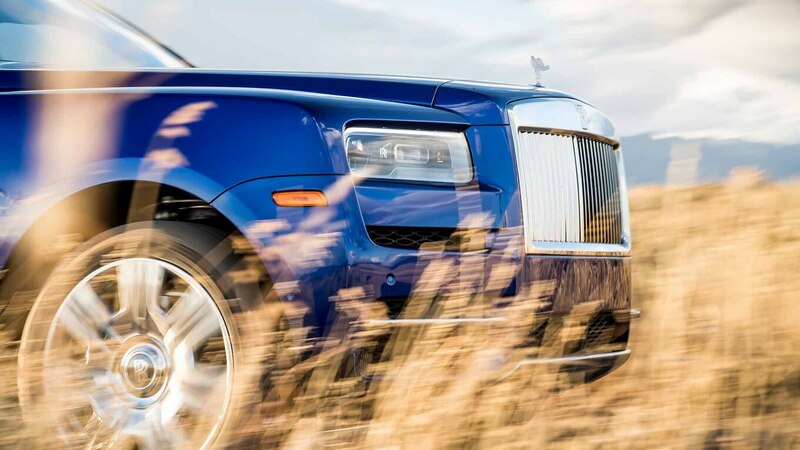 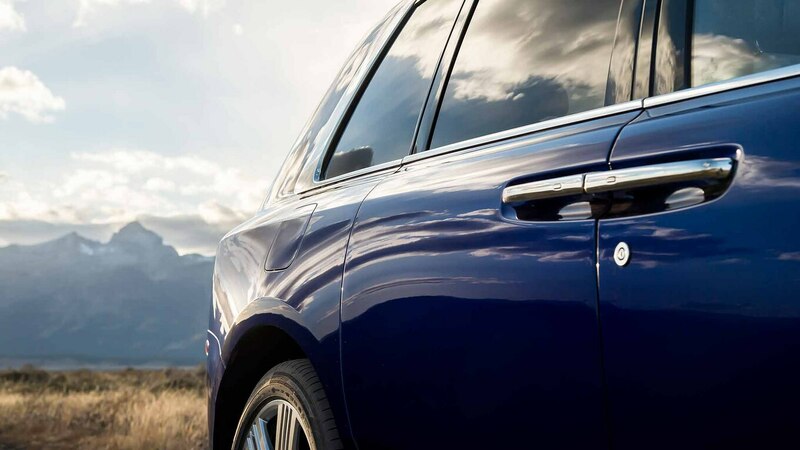 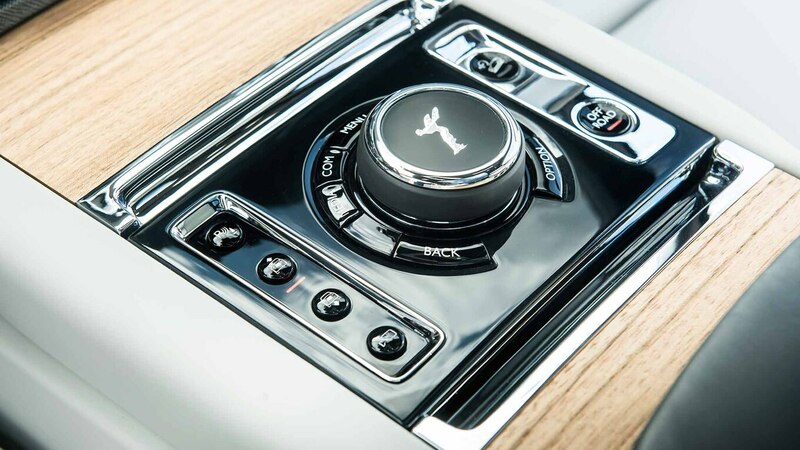 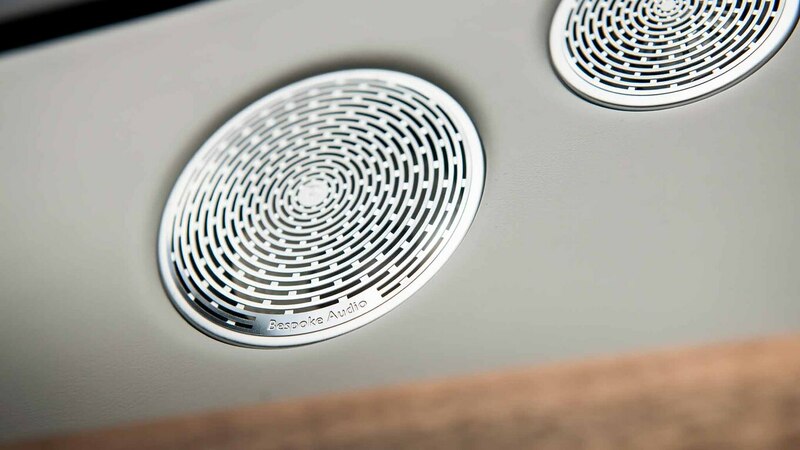 (Rolls-Royce says holding the button down is a safety feature that prevents the door from closing on you.) 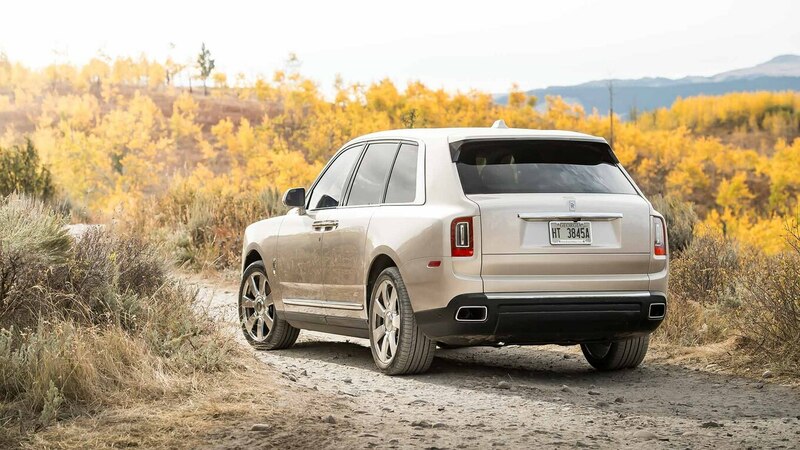 Other niggles: The lane departure system merely warns but doesn’t keep the SUV centered in its lane as on less expensive cars, and the metal trim on the doors and on the center console shines in your eyes in just the right light. 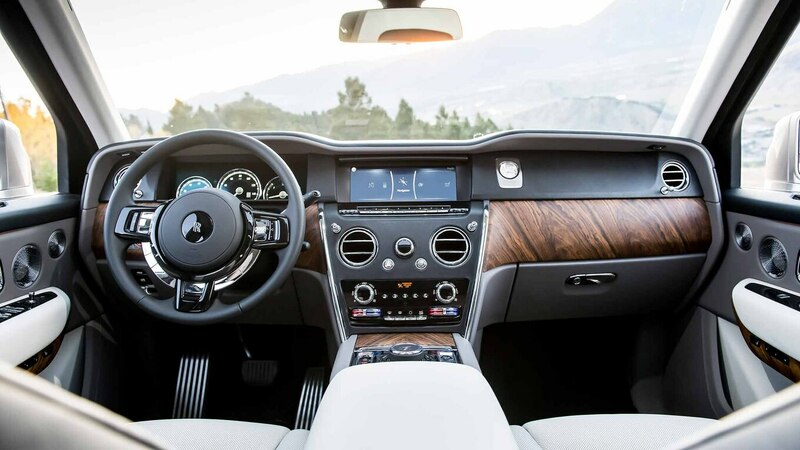 Focus instead on the huge panels of wood trim and leather headliner around the edges of the panoramic roof. 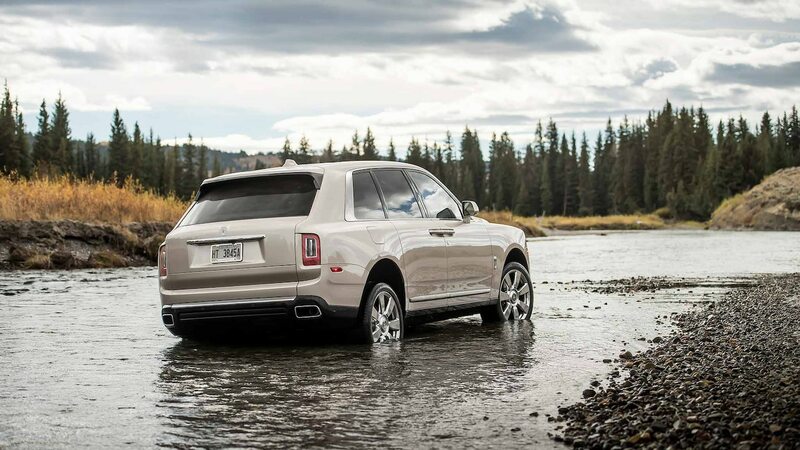 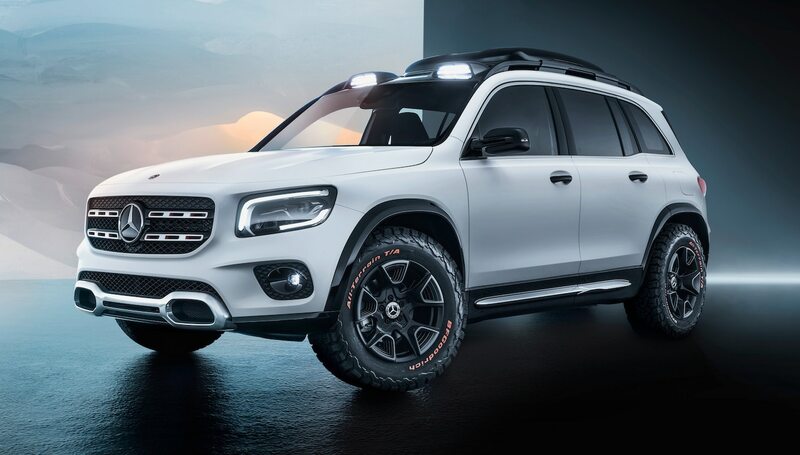 Or remind yourself why this SUV carries a six-figure price tag by running your fingers across almost every surface, including the especially solid-feeling stainless steel door handles or air vents. 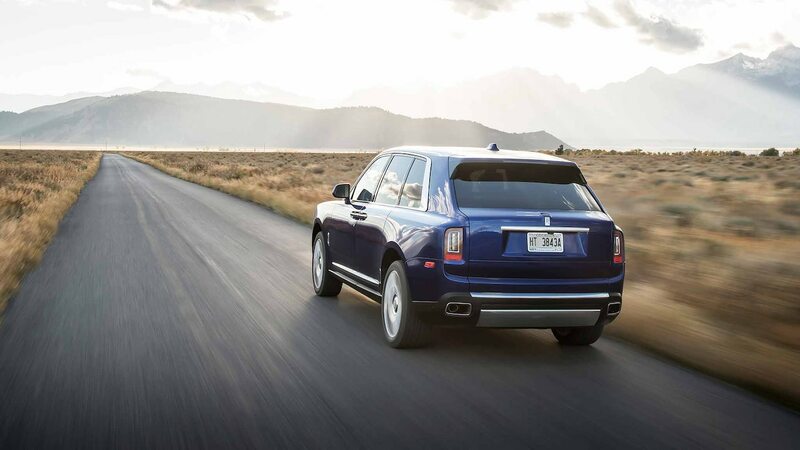 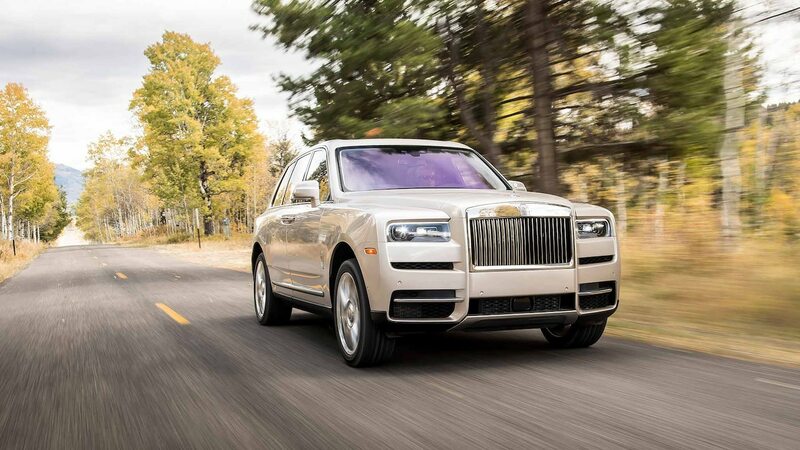 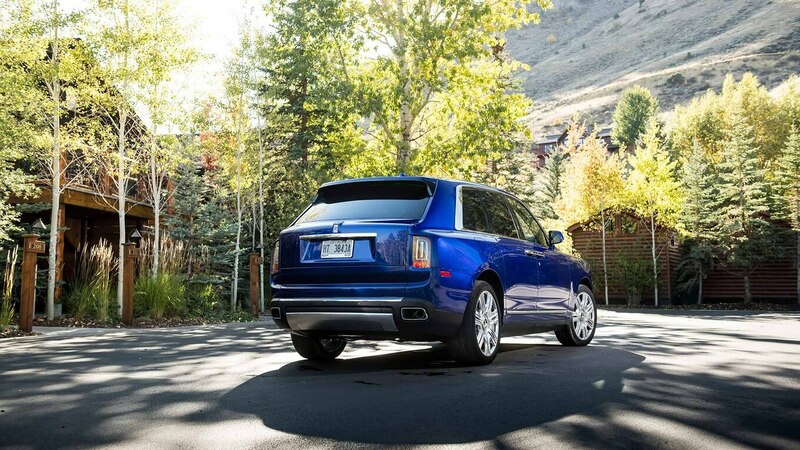 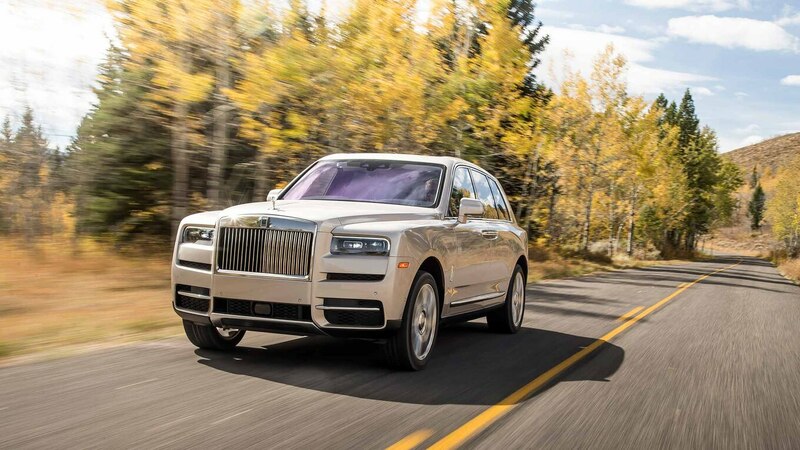 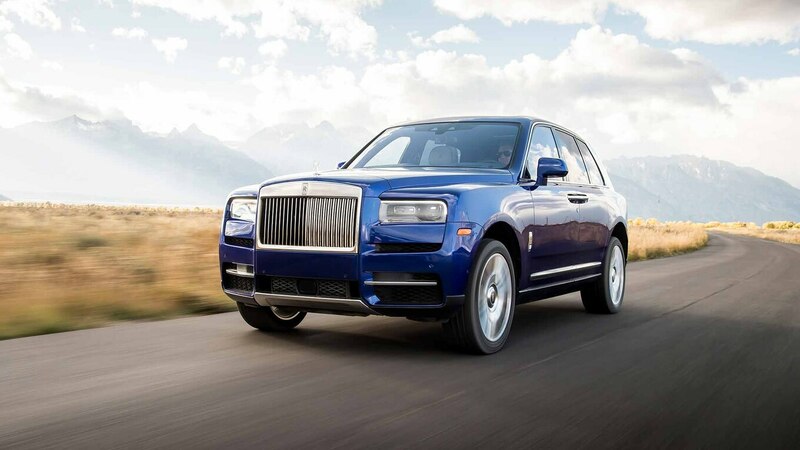 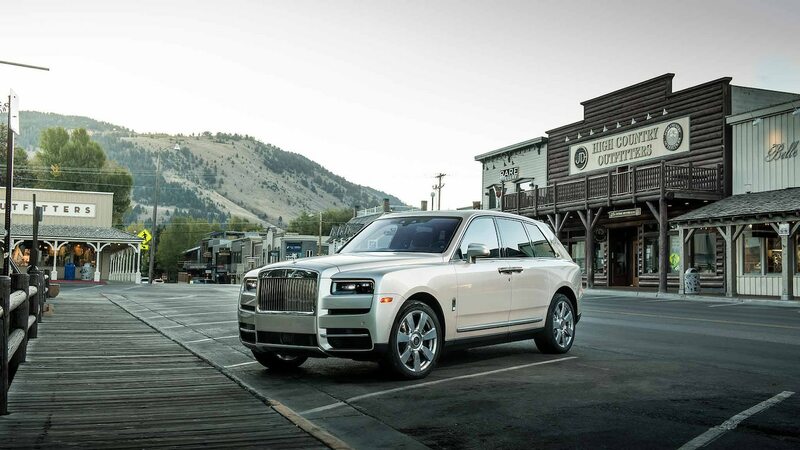 Most North American buyers are expected to go for the Cullinan’s five-seat option—the three-across seating makes the Rolls-Royce a family-ready option for those who find Escalades and Range Rovers too common. 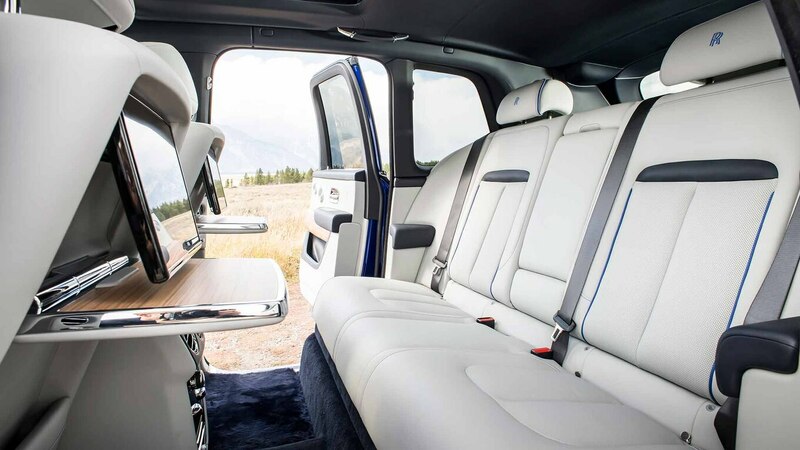 A four-seat option with two reclining and massaging rear seats is also available. 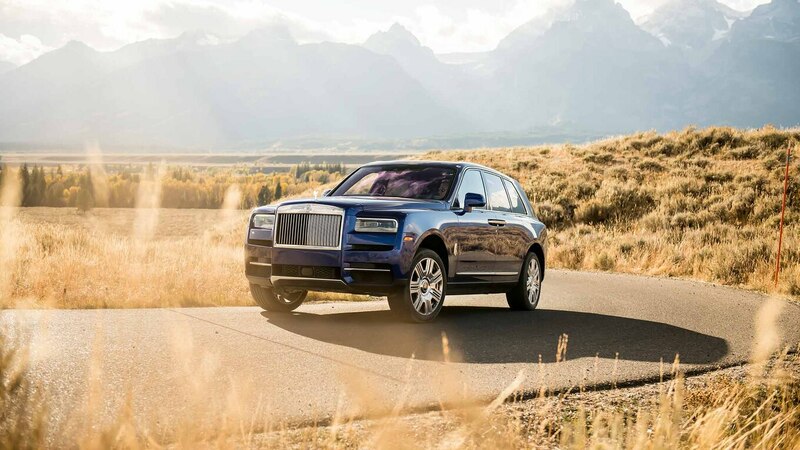 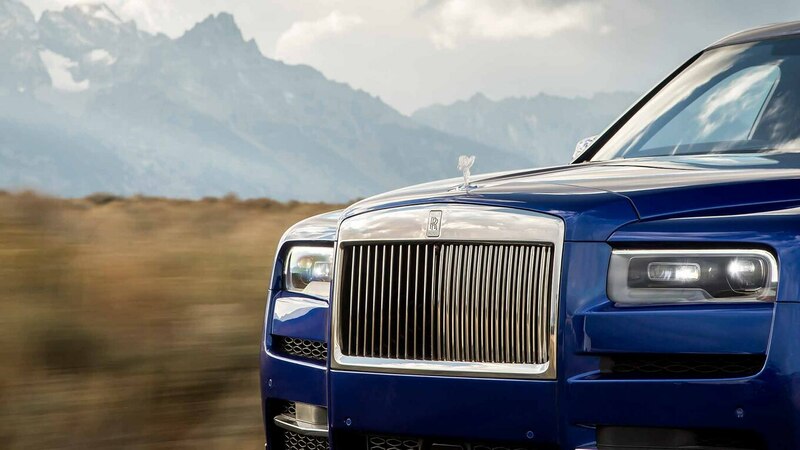 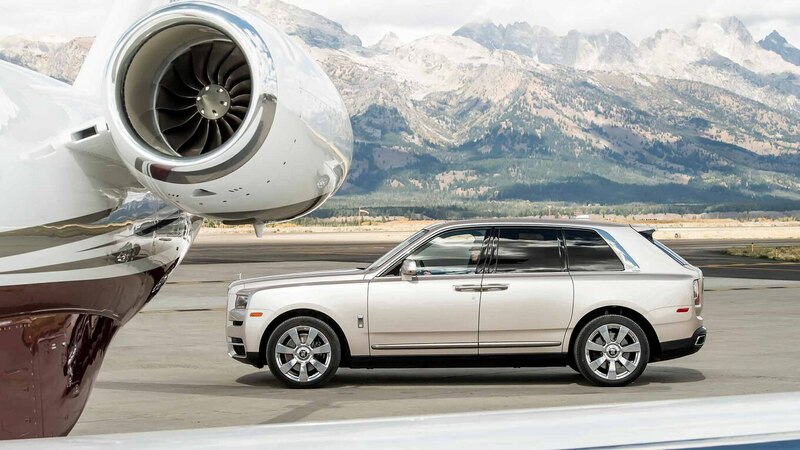 Whichever model you get, Rolls-Royce has largely delivered with the Cullinan. 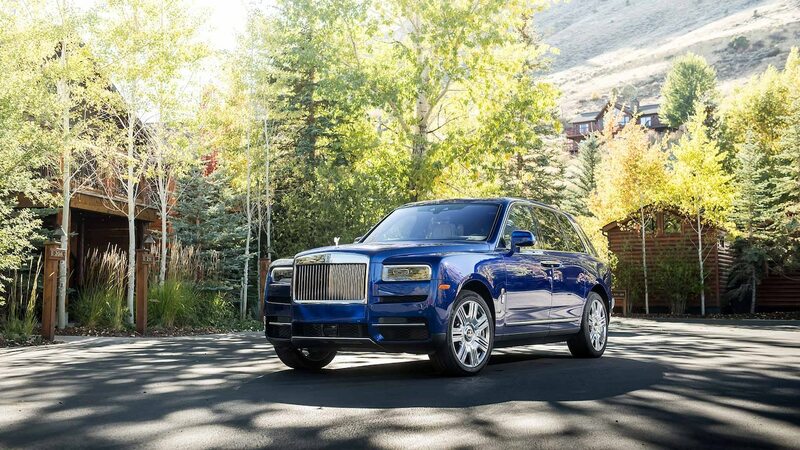 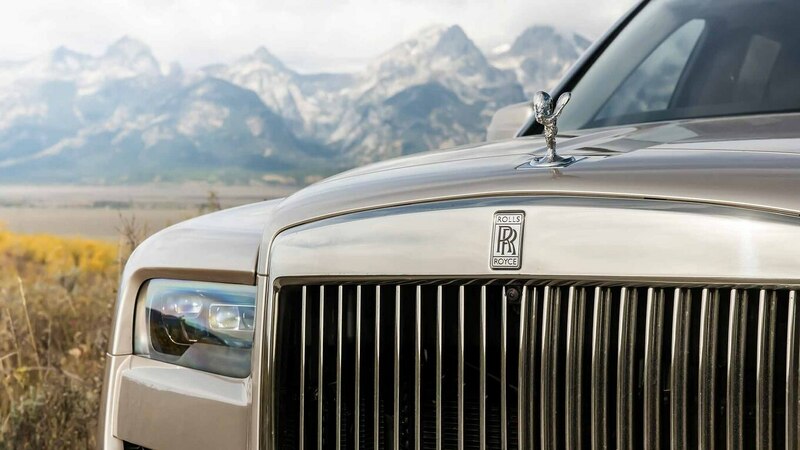 And once owners drive their SUVs beginning at the end of this year, they’ll find a Rolls-Royce that absolutely deserves its place in the garage next to the rest of the family fleet.